Imagine eating a packet of crisps without the guilt? Now I’m not taking about potato, all though I must admit I’m quite crazy about potato chips. Of course a healthier option is always welcome with everyone on a diet of sorts. 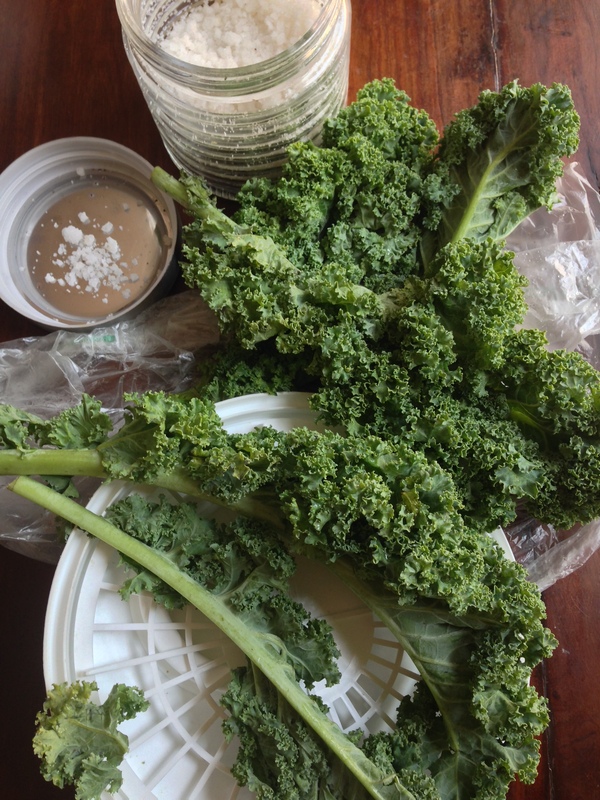 I’ve been cooking with Kale for awhile in my kitchen.Well the family has been served a Kale soup on various occasions,sautéed Kale and yes even Kale juice.The crisps is something I’d been shying away from,primarily from the fact that I just didn’t imagine they would turn out crisp enough. This was a Friday morning experiment. 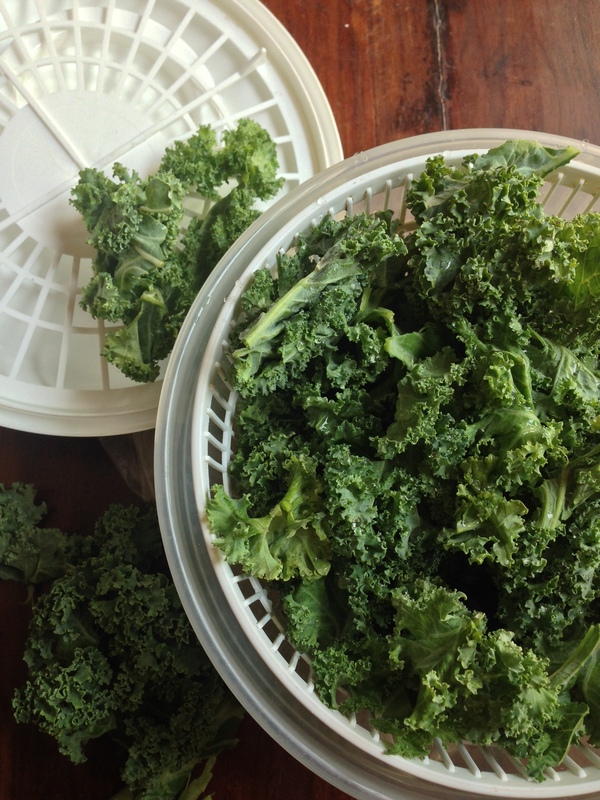 I woke up this morning with a gorgeous bunch of curly Kale staring at me…Not soup please hollers my son ,who has been pottering around the kitchen wondering what I’m planning to rustle up for him.Why not try out some Kale crisps he says to me? Oh well what the heck! If they turn out soggy I could always add them to a pasta of sorts. Now I had done a bit of research with quite a few recipes and came to the conclusion that once the Kale had been washed the key step was in ensuring that they were dried really well. I’ve used my salad spinner that really helped get all the water out and then went on to spread them onto a kitchen towel and gently dabbed them further.I then rubbed in some olive oil and seasoned then with some salt and pepper and layered them onto a baking sheet in a single layer.Yes just as simple as that. They were baked in an oven at 150 C for about a total of 20 minutes.You do need to watch them towards the end to ensure they don’t burn. The Verdict: Just fantastic and crisp as ever Kale! So here you go, all you need is some Olive oil,salt,pepper and a dash of chili to turn these gorgeous green leaves into a delightful and healthy snack! Go ahead and make some up today! 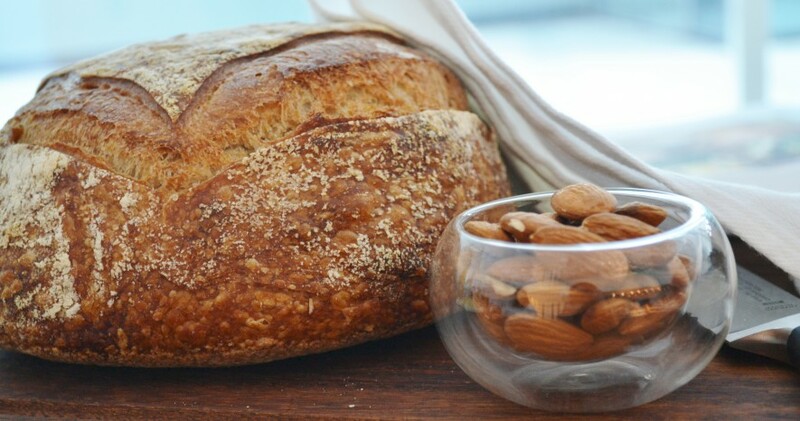 Layer a baking tray with parchment paper. 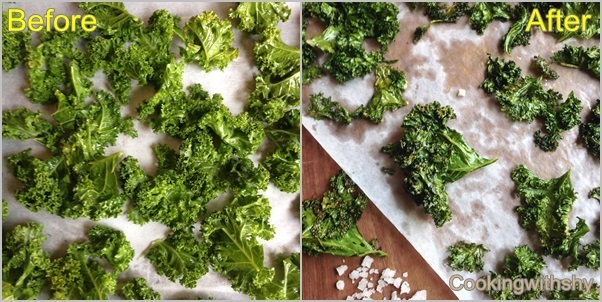 Wash the Kale leaves thoroughly. Remove the stem and tear them into large pieces. Put the pieces into a salad spinner to remove all the excess water. 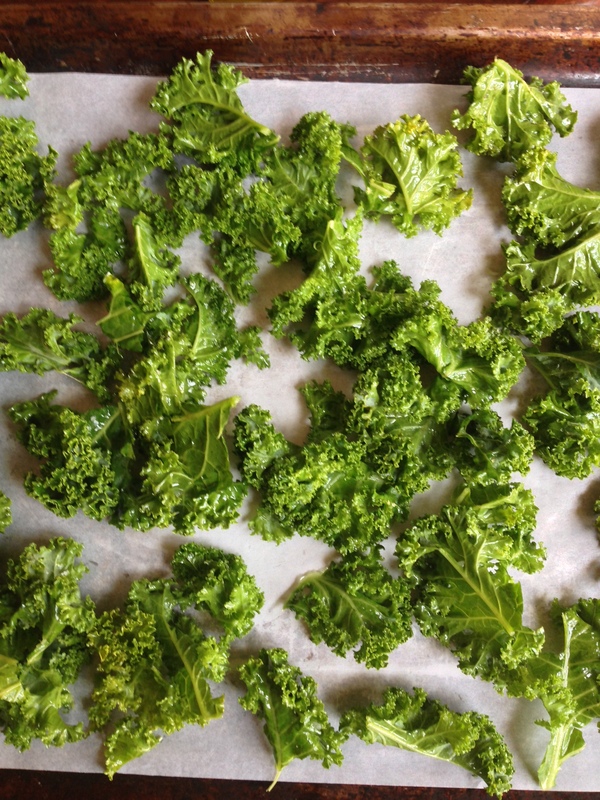 Spread the kale onto a kitchen towel and gently dab the leaves to ensure all the moisture is drained out. Add the leaves to a bowl and gently rub the olive oil into them. Now add in the salt,pepper and chili powder and mix well. Arrange the leaves in a single layer,do not over crowd the tray.One tray is good for about 1/2 a bunch of leaves so you may want to layer the other half onto a second tray. Put both the trays into the oven for about 10 minutes. Turn the trays around after 10 minutes and bake further for about 15 minutes. 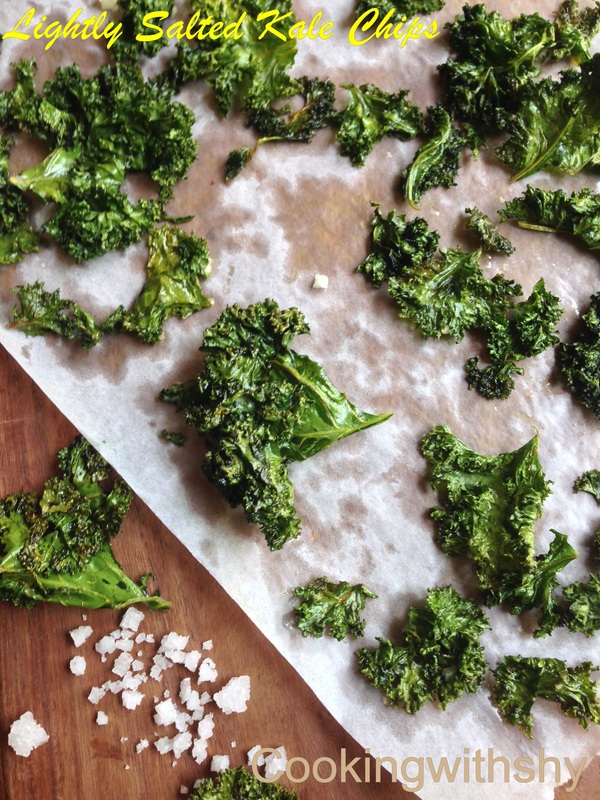 Keep a watch out towards the last 5 minutes to ensure the kale leaves are crisp enough and are not burning. Remove from the oven and let the crisps cool.